Judge Erwin Katz is a retired United States Bankruptcy Judge with over 15 years of distinguished service on the federal bench. In addition to maintaining an active mediation practice, he is currently serving as a Senior Advisor to Goldstein & McClintock LLLP, advising on all transactional and litigation aspects of bankruptcy law, including the representation of secured creditors, unsecured creditors, debtors, committees, bondholders, trustees, and equity security holders. Prior to his appointment as a bankruptcy judge in 1987, Judge Katz worked as an Assistant United States Attorney in the Northern District of Illinois, where he was assigned to the Organized Crime section. He later engaged in private practice, where he specialized in civil trials, health care and product liability law, as well as general transactional law. Since retiring from the bench, Judge Katz has been extensively involved in mediation. 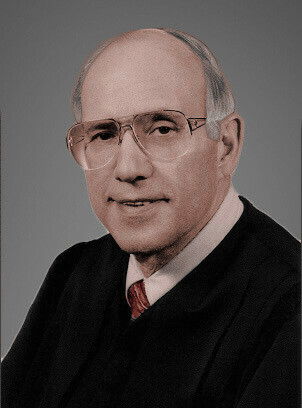 Over the years, Judge Katz has mediated approximately 400-500 disputes. He has given lectures on mediation skills at the Federal Judicial Center, the Dispute Resolution Institute at DePaul University College of Law, and various Bar associations and trade groups.